Dillon, Montana is a ranch and rodeo town with endless opportunities to explore the outdoors. 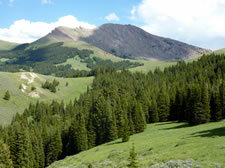 Its population is 4,134 people and sits at an elevation of 5096 feet. 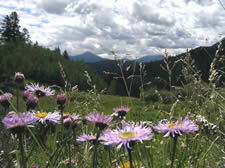 It’s located in the Beaverhead Valley and is surrounded by a multitude of mountain ranges and friendly people. 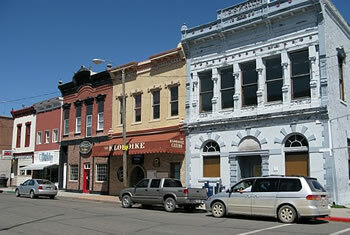 Dillon was named in Forbes Magazine as one of “America’s Prettiest Towns” in 2010. 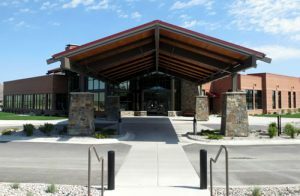 It’s home to the University of Montana Western, and the headquarters for the Beaverhead National Forest. WRITE Preceptor: Burke Hansen, M.D. WRITE Preceptor: Anna Loge, M.D. Kelly Smith, M.D. (& OB) • John Madany, M.D. • Danielle Maxfield, F.N.P.-C. • Jana Barnes, P.A.-C. • Hallie Tipton, M.D. • Casey Rasch, M.D. • Megan Evans, M.D. Greg Moore, M.D., F.A.C.E.P., F.A.W.N. • Ramona Potter, M.D. • Mike Clarke, M.D. Ron Loge, M.D., M.A.C.P. (specializing geriatrics) • Sandra McIntyre, M.D., F.A.C.P. (also hospitalist) • Karen Weed, M.D. (specializing Hospice and Palliative Care) • Tom Murray, M.D. We provide comprehensive healthcare services for more than 12,000 people in Beaverhead, Madison, and Jefferson Counties. As a fully staffed medical facility, Barrett Hospital & HealthCare is the closest hospital for many people in the region, but more importantly, people choose Barrett for its highly skilled staff, compassionate care and unparalleled service. Our OB physicians deliver about 100 babies annually. Along with 4 Family Practice physicians and 5 Internists, the Barrett Clinic also provides Physical Therapy, a Radiology X-Ray Room, and Phlebotomy Services. 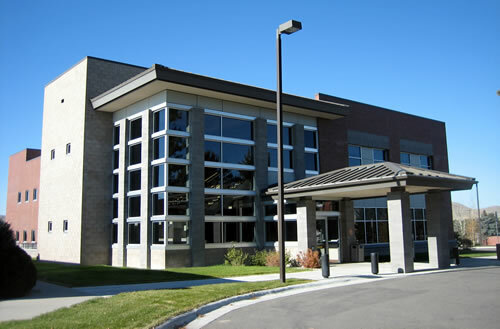 The Clinic is also the office location for Barrett’s Orthopedic and General Surgeons, Dr. Dan Downey and Dr. Shafi Shafaieh. Additionally, the clinic now has a designated space for the growing speciality clinic, providing urology, podiatry, interventional pain, and Ophthalmology services. Please note that drug testing through UWSOM is required at Barrett Hospital. Please visit UWSOM Compliance/Drug Testing for more information. Barrett’s Mission: To provide compassionate care, healing, and health-improving service to all community members throughout life’s journey. Barrett’s Vision: To Be the Model in Rural Healthcare Delivery for the United States in All Facets of Primary Health Services. Emergency Medicine: Greg Moore, M.D., F.A.C.E.P., .F.A.W.M. • Ramona Potter, M.D. • Mike Clarke, M.D. Gynecologist: Mick Lifson, M.D., F.A.C.O.G. Hospitalist: Anna Loge, M.D. • Sandra McIntyre, M.D., F.A.C.P. • Tom Murray, M.D. Opthalmologist: David G. Shapnik, M.D. Surgery: Shafi Shafaieh, M.D. • Dan Downey, M.D. • Neil Maxfield, C.R.N.A. • Dennis Hatfield, C.R.N.A. • John Pickens, M.D. Visiting Specialists: urology, gynecology, podiatry, orthopedic spine surgeon, PMR/Dual board certified PMR and pain medicine, psychiatry, pathology, and sleep medicine. Dillon is home to an array of outdoor activities including snowmobiling, golfing, fishing, hunting, skiing, biking, camping, and hiking. It’s also a great place to explore the nearby Bannack State Park (just 30 short miles away) or Yellowstone National Park (200 miles away). Housing: Barrett has a variety of housing options and we do our best to accommodate our students. Location and size may vary, but are typically 1-2 bedrooms, fully furnished with WiFi, and television, and are no more than a few blocks from the clinic campus. In some rare occasions, based upon availability, same-gender roommates might be appointed, who are also partaking in a rotation at Barrett. Precipitation varies widely- average annual amounts range from 10 inches in Dillon to over 50 inches in the mountains forming the Continental Divide to the west. Two-thirds of mountain precipitation is snow. 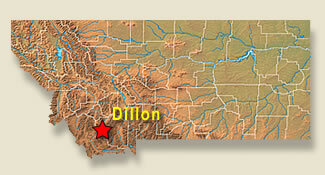 Dillon is typically colder in temperature and dry. Average Temperature High is 56° F, and Average Low is 30° F.